Do you feel you are ready to go at each training session? Or after several intense days of training, do you feel your body needs a break in order to maintain peak performance? Being fully prepared for each and every training day is important. The way to be fully prepared starts with your recovery following the previous training session as well as your overall recovery process. If your body doesn’t recover well, you will struggle to continue to training at your peak potential at each training session. I have found a system that works really well for me, allowing me to feel strong and ready to go at each session. This system involves proper nutrition, CBD water, consistent mobility work, and general movement. In order to recovery quickly, rebuild muscle, and reduce increased soreness, decreasing the inflammation in the body is important. And now I am sure you are wondering, “how do I do this?” Let me tell you. First and foremost, consuming foods and/or supplements that decrease the inflammation in the body. One of my favorites is turmeric. Turmeric has been shown in many studies to decrease inflammation and pain better than many over the counter medications and prescription medications. This can be consumed in supplement form, using the spice when cooking, and/or boiling the root to make a tea, just to name a few ideas. The way to enhance the absorption of turmeric is to combine it with black pepper (piperine if in supplement form). Along with turmeric, a number of foods have high antioxidants, which can assist to decrease inflammation. These foods include dark, leafy greens, blueberries, pineapple, walnuts, and fish that is high in Omega-3 Fatty Acids. CBD (cannabidiol) is naturally occurring component of the hemp plant and has many medicinal properties. The CBD part of the plant is 100% THC free, therefore will not give you the psychoactive effects that marijuana will. Don’t believe me? Check out more info here: What Is CBD? CBD has an anti-inflammatory effect in the body. By decreasing the inflammation that occurs, you can repair your tissues quicker after workouts. The best way to do this consistently is to get a product that you consume daily so it is in your system at all times. 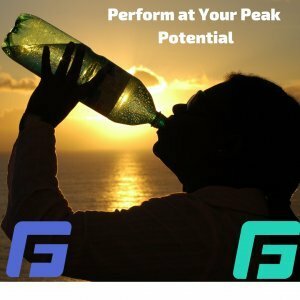 I have been doing this for almost a year now and have noticed significant improvements in my recovery and therefore in my performance during training sessions. Consistent mobility work has been a key component to my performance and recovery. Several years ago, I did not do this consistently and would develop shoulder tightness and pain every 4-6 week, requiring me to see someone to reduce the tightness through dry needling. I started by spending 5-10 minutes a day with mobility drills targeting my upper back, shoulders, and hips to loosen them up. Now, I maintain it with mobility work once a week at a minimum (more often as I feel necessary). Since I started this process, I rarely feel pain or tightness; I rarely need my shoulders needled to decrease tightness. By doing mobility regularly, I am able to keep the tissues in a good state and keep the joints mobile, allowing me to move better and therefore reduce any sort of compensation injuries like I was experiencing before. What exactly do I mean by this? I mean the more you move during the day, the better off you will be. Our bodies were not made to be in one position for long periods of time. The more you are in one position, especially sitting, the tighter and stiffer you get. Combine that with an intense workout and it makes it even worse. If you have ever sat on a plane or in a car for several hours after an intense leg workout, you know exactly what I mean. The more you can move during the day, the better. Have a desk job? Get up at least every hour to walk around. Or even better, transition to a standing desk if possible. I have my computer elevated to a standing height so when I am doing any sort of computer tasks I am standing. It makes a huge difference in how my legs and back feel. So what does your recovery look like? Does it involve just going throughout your day, not thinking about doing anything for recovery? If so, I would suggest incorporating these ideas into your routine.